Ms. Buff is founder and president of Buff Capital Management, a Boston-based investment advisory firm. She holds the designation of Certified Financial Planner (CFP®), and Chartered Financial Analyst (CFA). Over the past 15 years, she has taught finance and business at various local colleges and regional Universities and, since 1997, she has been teaching the CFA review course for the Boston Security Analysts Society. For the past 10 years, Ms. Buff has been selected by Medical Economics magazine as one of its “Top 150 Advisors for Doctors”; she has been widely quoted as an expert by a broad range of media sources, including Kiplinger’s, ABCNews.com, and the Wall Street Journal. Since 1995, she has been listed in Who’s Who in Finance and Industry. She is past chair of the Private Wealth Advisory Committee at CFA Institute and was a director and former president of the Boston Security Analyst Society. 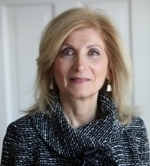 She is a member of the Boston Estate Planning Council, Boston Economic Club, Boston Foreign Relations Committee, and on the advisory board and past director of the American Lung Association of Massachusetts. She currently is a director of the Massachusetts Society for the University Education of Women and a speaker for the CFA Institute Speaker Retainer Program. Ms. Buff also holds an MBA and was a licensed clinical specialist with an MS in psychiatric nursing. Radio Show: "Dollars and Sense" WBIX AM1060, October 7, 2003 during National Financial Planning Week, on Director Corporate Sponsorships: Risk tolerance - What is Appropriate? IRA Losses -- Can You Deduct Them or Not?